They are so many drugs around, don’t you also feel that there are many drugs in this world than the diseases present. You see because they are so much drugs and medications now, people tend to abuse and misuse them. First, what is a medication? A medication is simply a drug or substance prescribed to promote better health, to prevent diseases, or to reduce symptoms. I hope that from the simple and clear definition above you get the idea of what a drug really is. Illnesses is are inevitable, so taking drugs is something that we must all do. The problem is that we often forget that drugs work in a variety of ways, they are sometimes specific and need to the taken when prescribed by an expert. So I compiled the list of common drug and medication mistakes you are probably doing now. Truth is we are all guilty, sometimes its due to ignorance. But don’t worry because today you will find out the mistakes you’re making and your sins will be forgiven. Lol. I promise that you will learn something new and also have fun. Let’s go! This is one habit everyone does. Sometimes we just pop the pills without even taking notice. Taking more medication than the doctor or pharmacist recommended won’t help you get better faster neither will it make the effect to increase. Rather taking excessive drugs than recommended, will damage your stomach and intestines. A recent story emerged about a girl who was suspended from school for sharing her inhaler with a sick friend. I know it might sound strange but sharing a medicine prescribed for with someone else is actually wrong. Even if the person has the same illness as you, you shouldn’t share it with him or her. The reason is because nowadays medications are very complex an they are prescribed based on each ones need. Another reason is that people react differently to drugs. I sincerely hope you understand. Can you guess the drug that we normally take because of the sweet taste? Yes Vitamin C! Its alright I know it tastes like orange juice shaped into tiny pebbles. No matter how sweet a drug tastes it is still a drug and ingesting it more than normal is really wrong. You should especially tell your kids about this, okay. Excessive vitamin intake, for example will cause stomach cramps. Alcohol often has harmful interactions with prescription medications. Consuming alcohol and medications also may increase the risk of complications such as liver damage and heart problems. Additionally, alcohol intake may greatly reduce the effectiveness of medications or render them completely useless. In other cases, alcohol interactions may make drugs harmful or even toxic to the body. 5. You don’t check the drug expiration date. Do you know what an expiration date of a drug is? The expiration date is the estimated final day that the drug manufacturer has guaranteed the full potency and safety of a medication. Probably you might have a lot of drugs in your cupboard, do you know when they expire?. From the simple definition above, taking a drug that is already expired will not be effective and could be potentially dangerous. Taking good drugs while you are pregnant can help you, but there are some drugs you shouldn’t be taking when you are pregnant. Examples are ecstasy, speed (amphetamines), heroin and strong pain killers. Taking these drugs during pregnancy also increases the chance of some birth defects, of having premature babies and underweight babies. It doesn’t just affect the baby’s health it also affects yours. 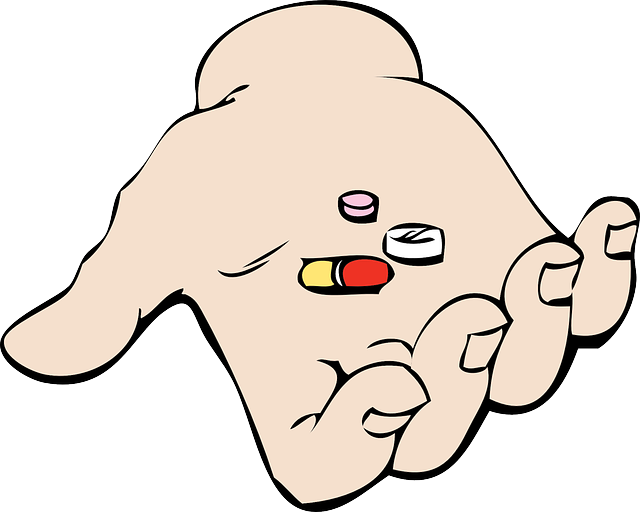 When the doctor or pharmacist prescribes a drug to be taken 3 times a day, you end up taking it once or twice that day. This sometimes happens when we forget or are apparently busy to take the drugs. This is actually not good. If you want to get better and recover on time. Your medication should be taken exactly as prescribed. It is not always easy, just try to remember or carry the drug along with you. It is very common for a drug to have side effects. Every drug will surely affect you somehow, they could make you dizzy or give you headaches. It is very important to ask the doctor if and how a particular medication will affect you. This is important because it is more likely to affect your normal daily tasks such as concentrating at school or work or even driving. 9. You don’t inform the doctor if you taking another drug or herbal supplement. As I earlier said, drugs are becoming complex. If you are taking another drug or a herbal supplement, you should tell your doctor about it. This is very necessary so you can avoid any complications and recover from your illness healthily. This is the last one and also the most common one. Almost everyone is fond of it. For instance, many people take malaria treatment drugs to avoid malaria. Please note that they are drugs that are taken to prevent diseases, for example PrEP is taken to prevent HIV. In the case of malaria,they antimalarial drugs taken to prevent malaria. So please it is important for you to know. I hope you enjoyed reading and equally learnt something new today. You should always remember to vist www.youmustgethealthy.com so you can read more amazing stuffs like this. Thanks for reading. Please drop your comments and share this awesome info with your friends.